Today I have with me Tansy from the novel Through Her Eyes by Jennifer Archer. Tell us something random about you. I was totally crushing on a guy named Colin in San Francisco before we moved. He worked at a music store with my best friend Hailey, and we had just started to hang out when Mom announced that we were leaving. Hailey always warned me that Colin was “bad news” and I should stay away from him. But I had only been in Texas one day when I called her house and her mom told me she’d gone to a concert with him! Who is your least favourite character you share your story with? Why? This girl at school named Shanna is so self-centered and rude. I once overheard her making fun of me – and worse than that, laughing at my grandfather, Papa Dan. If she wants to be mean to me, fine, but not him – that’s not something I’m sure I can ever forgive. And Shanna treats Bethyl Ann like she’s as disgusting as a dried gum wad underneath a desk, or something. Bethyl Ann may be a total geek and only thirteen, but she’s also the only person who has been completely nice to me since the minute I moved to Cedar Canyon. I’d like to be able to read minds. Then I would know what’s going on with Tate Hudson, this totally hot guy at school who was nice to me at first, then started acting like he hated my guts for no reason. What's your favorite food (or drink)? My favorite drink is a soy chai. As for food, I pretty much like anything except meat. Oh, and the gloppy pasta salad with extra mayo that Bethyl Ann’s mom makes is totally disgusting, but I’d never tell her that. What 3 words would describe you best? If you could change any one thing you've done in the past, what would it be? I feel really ashamed that I tried to avoid Bethyl Ann after we first met and she was trying to be so nice to me. If I could change that I would, because she’s a great friend – funny and trustworthy and loyal. And she’s really helped me through a difficult time. Even when I feel and act like I’m losing my mind over all the weird stuff that’s going on with the photographs and the ghost that haunts our house, Bethyl Ann is there for me. She has a very open mind and helps me try to figure things out. Gosh, Hailey reminds me of a friend I used to have. She would totally do the same thing! The three words about herself describe are like my sister. I’ve heard good things about this book and it sounds really interesting! I’d love to read it! Wow, Tansy’s three words about herself remind me of myself. I enjoyed the interview and would love to read Through Her Eyes 🙂 *Thanks* for the giveaway! Great interview. Really looking forward to reading the book more now. I love interviews like this! They are always so much fun and this one was no exception. The way she describes herself is sad. :( No one should be invisible. Oh Beer-for-breakfast-Shanna is definitely not a nice person. But Tansy is! And so is Bethyl Ann. I love character interviews! Great job! These are my favorite posts, the character interviews. Great interview. I enjoyed reading it. The book trailer looks kind of spooky and really interesting, too. I’m looking forward to reading this book. I loved the character interview. It helped me understand Tansy’s character better. Thanks! Loved reading all of your comments!Interesting that a few of you related to the 3 word description, or know someone who does! 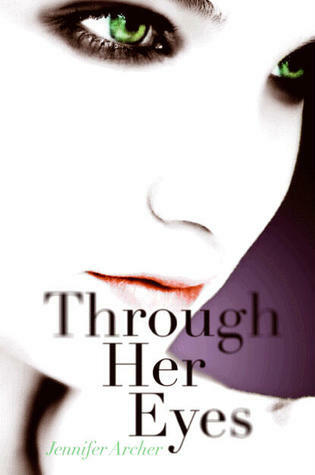 THROUGH HER EYES, Available Now!